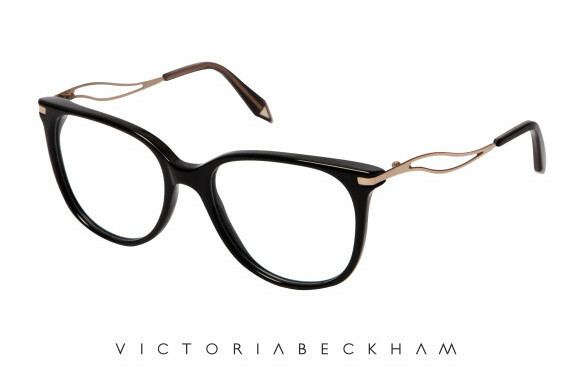 Victoria Beckham made a confession that she actually need glasses. But how come we never spot her with glasses on her tiny nose. The reason? There weren't any glasses good enough for la Posh. So it is obvious that, after her sunglasses collection, that she will launch normal eye wear line. In cooperation with Cutler & Grooss she designed six different models which all will be available in three colors. Think about the basics like black and tortoise (brown), but also light blue, green and yellow. All the models, from light en feminine to heavy square frames, handmade from Italy. They are some models that both men and women can wear. Perfect for my parents, who always share their glasses in restaurants. How romantic :-P.
Curious about the collection? October this year, the designs will be presented. Bu from January 2013 on they will be available for you in the stores. The price is going to be around $410,00.